Make a call to your lender to check the pay-off amount of your current house mortgage. Many people are unpleasantly surprised when they arrive at closing and find their net proceeds are much lower than they estimated. Making sure of your current mortgage balance, ensuring there are no pre-payment penalties is essential in the sale of your house. It is also a good time to check on any tax ramifications the sale of your house might have to you with your accountant or tax attorney. If you have been in your house for sometime, and/or have large equity built up, you may need to discuss your situation with your tax advisor to ensure you understand the tax implications of your sale. Before you decide to sell, research is your first step. Decide what your goals are, will you be buying up, down, or entering the rental market. If your plans involve a new purchase the first step is contacting a mortgage broker to find out what you can afford to spend and getting your pre-approval letter out of the way. This information will help you decide the timetable for your home sale and your financial needs as it relates to the sale of your existing house. This is the reality check. Will I make enough to allow me to buy into something that fits my desire and need? Will the sale of my current house allow me to buy something better or similar? Start looking at two types of real estate: houses that seem to match the one you currently own and those that match the one you’d like to buy. How do the two compare in price? Can you handle the difference if you are planning to step up? Search the internet for homes for sale in your area and real estate ads in your local newspapers. Real Estate Commissions-can be negotiated. Attorney, closing agent or other professional fees-shop around for the best deals. Prorated costs for your share of annual expenses, such as property taxes, home-owners association dues, etc. Other fees which may be tied to the closing process-appraisals, inspections, etc. If you are unsure of the cost ask your listing agent. 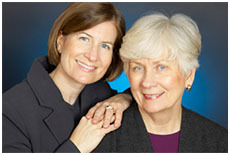 Agents can provide you with a comprehensive list of estimated closing costs for the Seattle area or Washington State. Total your costs to acquire a new home: moving expenses, loan costs, down payment, home inspections, title work and policy, new hazard insurance, etc-all expenses related to buying a home. Your lender will be able to give you a disclosure of estimated costs when you apply for your pre-approval. 2. Deduct your cost to sell from the remainder to get an estimate of the proceeds you will be paid at closing. Will your closing proceeds cover your costs to acquire a new home? If not, do you have cash or funding in place to make up the difference? In many instances, sellers leave out costs that affect their net return. A licensed Washington real estate agent will be able to help you determine these estimates. You also will be provided an estimate by your escrow agent before your transaction closes. [expand title=”How to find a Listing Agent”]Ask your friends for referrals. Which real estate agency has the best ads and or marketing appeal? Which have the best internet sites? Once you have a list of agents make an appointment with each to learn more about their services and ideas. Interview each with a few questions in mind. Ask about their specific marketing tactics, including print, web and direct marketing. Will the house be placed in the NWMLS immediately and have pictures available? What is the commission rate and how does it compare to other agents and the services they are offering? Find out how long they want you to list with them. How long has the agent been licensed to sell real estate? What has been their success rate for the sale of their listings? Are they familiar with your neighborhood? Will they have a brokers open as well as general opens for the public? Did they do a CMA for you to arrive at their suggested listing price? Questions of this nature are those you should be prepared to ask the agents you are interviewing. Typically these will be adequately addressed by most of the agents you interview. Picking the agent may then come down to the rapport between you and them. Can you and your agent communicate easily and effectively? Research and determine your houses fair market value. This is most easily done by hiring a licensed Washington real estate agent to provide you with a market analysis for your house. The agent does this by researching those properties in your area that are comparable in size, age, condition and potential as yours. Detailing to you what is currently on the market that is comparable to your house (current homes for sale), what has sold in past 6 months or so, that was comparable, and what the high, low and average sales price and or listings price comparable homes have gone for in your area. In addition, you can order an independent appraisal. Banks and mortgage companies hire licensed appraisers to tell them the market value of a home based on its place in the market and its condition. Many of the same factors your agent will use to compare your house to others will be used by the appraiser to arrive at his/her price. Appraisals tend to be more conservative in their price than those suggested by real estate agents. However, true market value may be closer to the higher of the two. Most houses need a little spiffing up before they are shown to potential buyers. Great curb appeal, fresh paint indoors (and sometimes out), organized closets and cabinets, clean windows and appliances, and a clutter free atmosphere are essential if you want the house to appeal to buyers. Your agent will help you decide what should be done or changed. As a rule of thumb, too many distractions (furniture, decorations, clutter) will make a negative impact on a potential buyer. Open space maximizes the square footage of the house and visually makes the house seem bigger than its actual size. Its also a good time to think about stowing away valuables, prescription medicines and personal information. Although agents do their best to observe clients and open house guests, sometimes a few undesirable characters make it through. This is not usually the case however, but keeping temptation at a minimum is wise. Make all needed repairs unless you want the house to be regarded as a fixer-upper. This does not refer to cosmetic updates, but to items in need of repair. Anything that is obviously broken gives potential buyers a reason to submit a lower offer. Today buyers are better prepared than they ever have been. 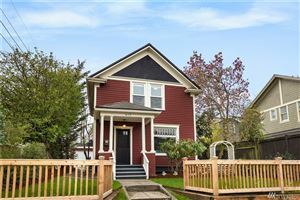 Over the past few years, especially in the Seattle real estate market, buyers have done their homework. Presenting your home in the best possible condition to buyers will ensure that you receive the highest and greatest numbers of offers to consider. Homes in need of obvious repairs, will lessen the likely-hood of selling your house for its best price. Your agent should provide you with a detailed marketing plan for your property. This will include dates the house will be toured by other agents, dates the house will be open to the general public and when the house is accessible to agents and their clients. You will need to decide the procedures and restrictions for others to schedule time in your house. As a general rule, sellers are not present when potential buyers come through. This allows buyers to feel unhurried and at ease when seeing your house. When deciding the times and procedures for others to view your house, keep in mind if it becomes to difficult to see your house, agents will simply pass it by. Although this may be an inconvenience to you, in the end it will allow your house to sell quicker and thereby creating less inconvenience to you. This is not enough space to cover all the possible scenarios when considering an offer. Your agents experience and knowledge will help you decide many of the important decisions at hand in this part of the process. Real estate contracts must be in writing. Offers are legal documents that are executable and will hold up to scrutiny in a court of law. Although your agent will be able to explain the intent of the wording and your responsibilities under the contract, they are not attorneys and their advice cannot be considered legal in most places, including Washington State. 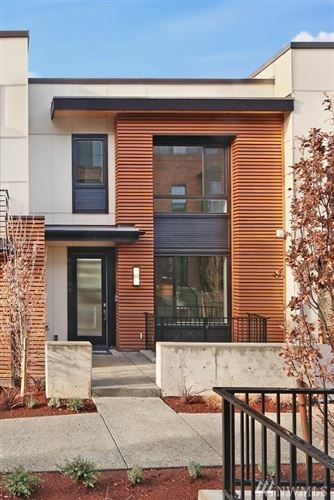 Contracts are written on approved legal forms provided by the NWMLS. In some cases additional forms may be included specific to your agents company. These contracts detail specific information about the property (ie: legal description, address, tax id #, owner name, and details about your buyer and their finances). You will be asked to consider an offer presented by the buyer’s agent to you and your agent, with a time limit in which this offer will expire, if no action is taken. One of the items to be considered is the earnest money. Earnest money is money the buyer puts up front to show his/her seriousness in making an offer. In the Washington real estate market, this is usually 3% on the offer price but may be any amount they feel comfortable in presenting. This money is cashed and then held in trust by the broker in a special account and forwarded to the closing agent right before close. There are specific remedies for default on a real estate contract and in many cases the remedies may include forfeiture of the earnest money. Thus, it is imperative you know your rights and obligations before accepting any offer. It is also important that the buyer has provided a sufficient amount of earnest money for you to feel comfortable(within reason) that they are serious about the purchase of your house. Once an offer is written and signed by the buyer and their agent, the buyer’s agent will contact your agent or broker and either fax, or submit the offer directly to them. In some cases, properties will have multiple offers and the listing agent and you will have certain guidelines for submission and review. Your agent will advise you in this circumstance. Once an offer is submitted and received certain time constraints will come into play. Time limits will exist for you to provide your response to the offer. Your response may come in several ways. One you may simply accept the offer as written and the transaction will proceed to the next steps and to escrow. You may counter the buyer’s offer and come back with a different price for their consideration or different circumstance concerning the offer (ie: closing date, amount of earnest money, or some other item in the original offer). New time limits will then apply and it will be in their court to decide to accept these conditions or not. If the new terms are accepted, you and the buyer will then proceed forward to close. You may also counter the counter from the buyer until mutual agreement is made or no agreement is reached and the offer is allowed to expire. Once you have mutual acceptance your next steps will be driven by the terms on the agreed contract. The first item to deal with will usually be the buyer’s inspection. The inspection is a right of the buyer and is conducted immediately (2-7 days) after the offer is accepted. The purpose of the inspection is to provide the buyer with knowledge and assurances about the condition your house. In many cases, the mortgage company will require an inspection to be preformed by a licensed inspector prior to approving the loan. Either way this is one of the contingencies that if not met to the buyer’s satisfaction will allow him/her to legally break the contract for good cause. Inspectors are independent contractors whom are hired to give an accounting of the condition of the house. Inspections can be limited to a visual inspection or as detailed as a structural one with written analysis and recommendations for items needing repaired or updated. In both cases, you and the buyer should have sufficient knowledge after the inspection to decide what items you will agree to repair (if any) or if the house will be sold in its current condition. Once again the language in your original contract will govern the buyer’s and your response and time limits. Also around this time, the mortgage company or bank that the buyer is working with will conduct what is know as an appraisal of the property. This will be done by an independent firm specializing is residential appraisals. They will visually inspect the house and use sales data for similar houses in the area of the same age, condition and features, and arrive at an independent market price for the house. The bank will use this as the basis for justifying the amount of the loan. In most cases, this amount will be very close to your agreed price with the buyer. In some cases, homes may have sold for a price well above the value of the house as it compares to comparable properties in the area. If this is the case, the bank may not loan the buyer the sufficient amount to close on the property and you may be asked to renegotiate the price of the house with the buyer or for the buyer to come up with more cash down. As your close date approaches, many different entities and individuals will be in contact with you and with each other, sometimes on a daily basis. The coordinator of all these activities is the escrow officer. The escrow officer works for an escrow company that you and the buyer have agreed on in the contract to purchase. The primary job of the escrow officer is to coordinate and facilitate all the paper work necessary for the transfer of the property into your buyer’s name and the filing of the legal paper work attaching a mortgage to it for their lender. They also will be removing your mortgage lien once the funds are transferred and remove your name off the property and tax roles. 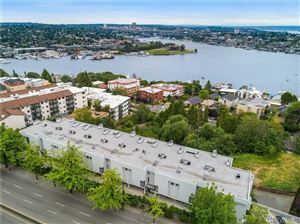 Washington Real Estate Law is very specific as to how property must be transferred from one name to another and the timelines and details as to how this is legally done. The escrow office will ensure all the appropriate conditions and requirements have been met under the law. The escrow officer will be detailing a list of all the costs to you and to the buyer. This itemized list will detail all your credits and your expenses (fees, escrow costs, title costs, etc.) This list of assets and liabilities is called a HUD-1 statement and is governed by the federal Department of Housing and Urban Development. This ensures that there is a standardized accounting of your transaction that can be easily understood and scrutinized. You will schedule an appointment with the escrow officer to sign the appropriate paper work, for the transfer of your property out of your name. The buyer will also be doing this as well. It is not necessary that both you and the buyer do this at the same time or face-to-face. In many instances, the buyer may not be in the same city. After your signing and after the buyer has signed (which may be a different day), your transaction will be “closed” on the mutual agreed closing date from you original contract with the buyer. This action is done at a government office in your city and recorded. Once the transaction has been recorded and a recording number received, the house is legally the buyer’s. If you have agreed to possession at close, you now will turn over the keys to the buyer or their agent. In some contracts, you and the buyer will have agreed to different terms for possession after the closing date.